A new way of detecting customers stealing electricity. NIGERIA - The Department of Electrical and Electronics Engineering, University of Ilorin, has unveiled a prototype anti-theft device capable of remotely monitoring and detecting customers stealing electricity. 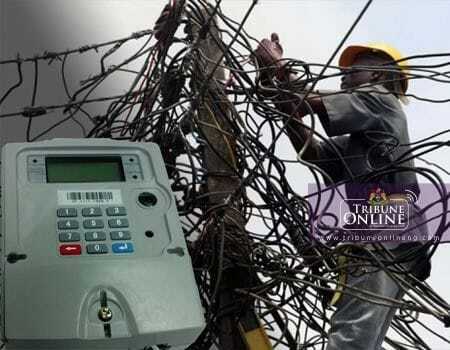 The Acting Head of the Department, Dr Mudathir Akorede told newsmen on Tuesday in Ilorin that the device could also cut off electricity supply to the premises of customers stealing electricity. ”This will simultaneously send a message to the utility control room to alert the system operator with such customer’s details displayed on the control panel,” he said. Akorede said that processes of filing application for patenting the invention had commenced through the university’s Laboratory to Product Centre. The don explained that the device was developed by himself and some students of the Department. The Don further said,”The invention is now up to the standard that it can be patented. He said that the idea followed the discovery that most people use electricity without paying for it. ”A lot of people that have been able to get the prepaid meter, even though they can afford to pay their bills, still want to bypass this thing to steal electricity and this is not helping the companies.